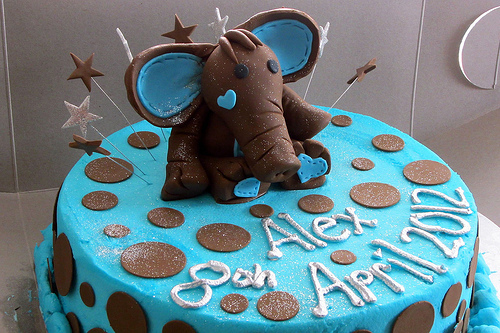 The use of fondant is a great way to cover cakes and give it a smooth and professional look. 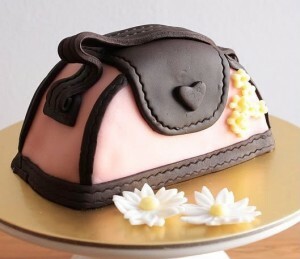 Fondant doesn’t just have to cover the cake, it can be used as a decoration as well. Making flowers and cutouts with fondant is a great way to dress up your cake. Decorating a fondant cake with flowers looks great, is very popular and really quite simple. They key to making flowers with fondant is to allow sufficient time to let the flower dry before adding them to the cake. Make them well in advance – at least a week before you need them. If you are shaping the flowers let them sit in or on the form for atleast one day, then allow them to completely dry for a few more days. However, if using fondant for flowers it is better to make something that’s flat rather than 3D just because fondant doesn’t dry as fast. 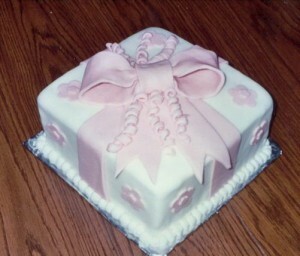 If you try adding anything to the fondant flower, or it comes in contact with any moisture it will become limp. Fondant takes so long to dry due to the thickness and shortening that’s in the mixture. Just remember to make any decoration ahead of time and store them until ready to use. Never make your fondant flowers last minute as they will not hold. When applying a fondant decoration to the cake, brush the back of it with just enough water to make it damp then place it on the cake. Press lightly to help it stay in place. This is the easiest way to apply fondant decorations to fondant. 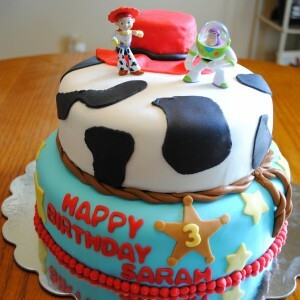 Adding color to your fondant is another great way to decorate your cake. It can be difficult mixing the coloring to get the exact color you are looking for. Food coloring spray is the easiest way to color fondant. 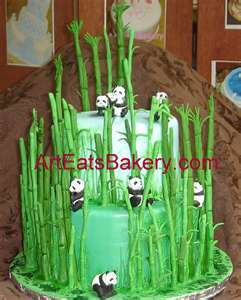 It is not recommended to add food coloring with a brush as the fondant will get sticky and take a very long time to dry. 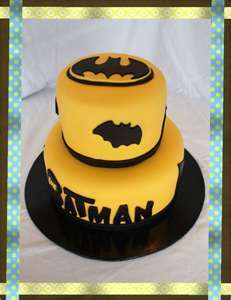 Before coloring your cake try coloring a spare piece of fondant to be sure you get the desired color and outcome. You may also want to mix the color yourself. If you are mixing the color right into the fondant icing add a little bit of color at a time until your achieve the desired shade. Be sure mix the color in advance in case it needs adjusting. 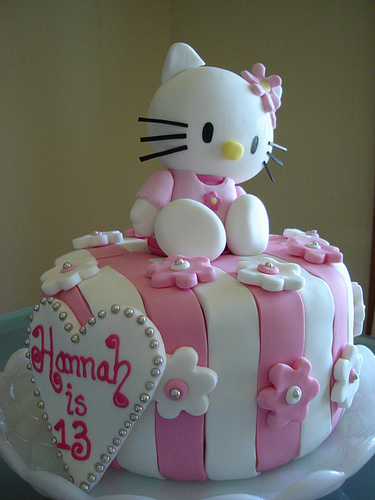 You may also add flavouring to your fondant – most commonly used is vanilla or almond. 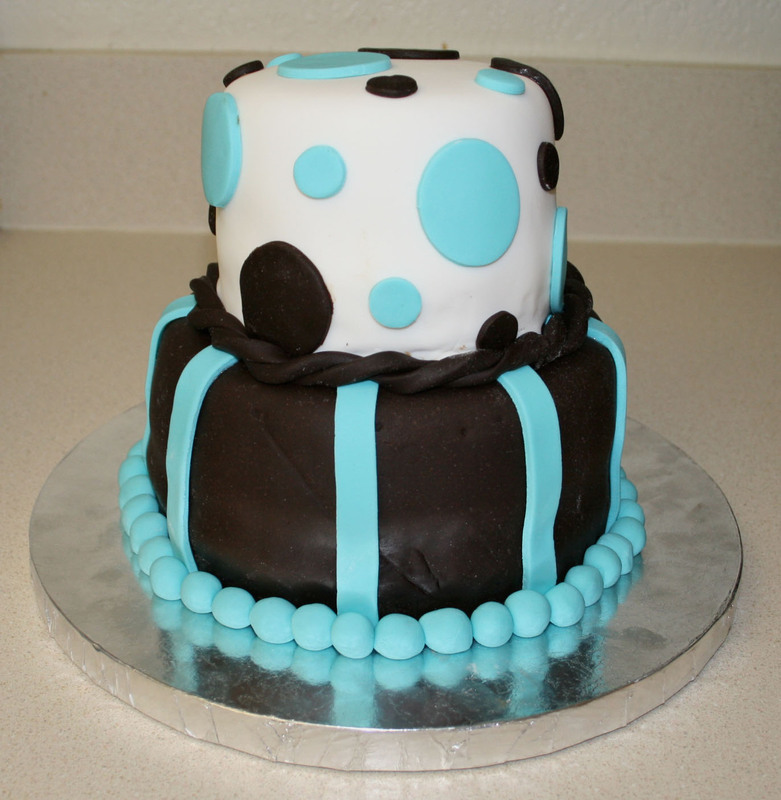 Consider creating piping decorations for your cake as well. 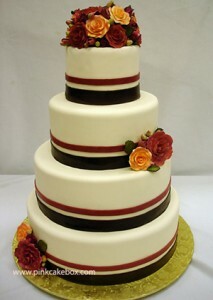 Piping designs are very popular on wedding cakes. You can pipe on top of fondant with a buttercream icing. Piping can look great and actually be quite intricate however, be sure to practise your design before applying it to your cake. 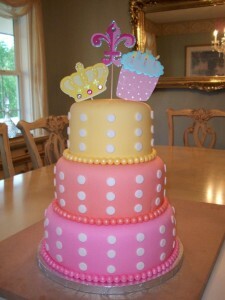 Decorating with fondant can be a lot of fun and leave you with a very beautiful cake that will impress many. Make sure to practise these techniques before making the actual cake. 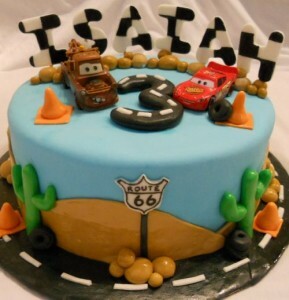 You can be very creative with fondant so explore all possibilities when designing your cake with fondant.